Synopsis: Matthew is the son of Mr. Nicholas Namely, a local high school teacher. However, Matthew does not know that his father is a dreamscaper, whose classroom is connected to the dream-world. From his classroom, Mr. Namely’s students enter the halls of Scapemaker, a dream-world high school for young and inexperienced dreamscapers. Following a couple of tragic events—his father’s sudden comatose condition and the unbelievable mysteries surrounding the unexpected death of his best friend, Dobian Brown—Matthew is compelled to investigate and is propelled into a whole new world. Matthew and his mother, Mae, are soon coerced into moving across the country for his father's strange medical needs. While attending his new school, Matthew comes to know the secrets that Daedree, an annoying girl from his former high school, has locked away. Matthew also meets Amber, a beautiful enigmatic girl who leads him to Mr. Xoner's classroom. While there, he learns the art of dreamscaping (which, unbeknownst to Matthew, has been in his bloodline for thousands of years). This new life will lead Matthew to unbelievable characters with the most extraordinary abilities he could have ever imagined—and the most deadly and wicked villains he never thought he’d be up against. Matthew will come to know of Nox Celare, otherwise known as The Sandman, who is after a special element called Magineum. He must not only solve the mysteries surrounding those tragic events, but he will also have to protect the Magineum with his life and find a way to be with the girl of his dreams. Neck deep in skinwalkers (shape shifters), sandsleepers, zombies, goblins, soul feeders, ghosts, ogres, dragons, dream-world criminals known as “night terrors” and more, Matthew learns he is in over his head. With the help of his friends, Mr. Xoner, and a determined FBI agent, Matthew will learn more about his father than he ever hoped to—or wished to know. He soon uncovers the reason for his father’s comatose condition; with vague implications of a traitorous act and a possible connection to Doby’s death, Mr. Namely had been convicted and his mind held within the notorious Sandstorm Prison inside the dream-world. Matthew must now prove his father’s innocence as a helpless victim of Nox’s plan to escape Sandstorm Prison. Now much larger than any two students combined, [it] burst from [its] skin, emerging like a reptilian monster from [its] shell complete with fire lit eyes. [Its] teeth were long and sharp. [It] reached for Matthew with arms that were now twice the size of Matthew’s torso. “I don’t know what’s behind that door but I’ll take it over that thing any day,” said Matthew as he tried to squirm away from Mr. Xoner’s grip. Although he was smaller and frailer than Matthew, Mr. Xoner held him against the floor boards next to the ornate door. The windows high on the wall began to shake along with the walls as [it] approached. His every step fractured the floor sending cracks through the foundation. The Sequel, Soul Feeders, comes out toward the end of Summer 2013! Steve is the second child of seven born in Los Angeles, California. At twenty-four he moved to Salt Lake City, Utah. Two decades later he still lives in Utah, where he found and married his beautiful wife, Katie. Today they live in South Jordan, Utah with their 8 month old son, Ozzie, and his hairy brother, Duke - a three year old Shih Tzu. 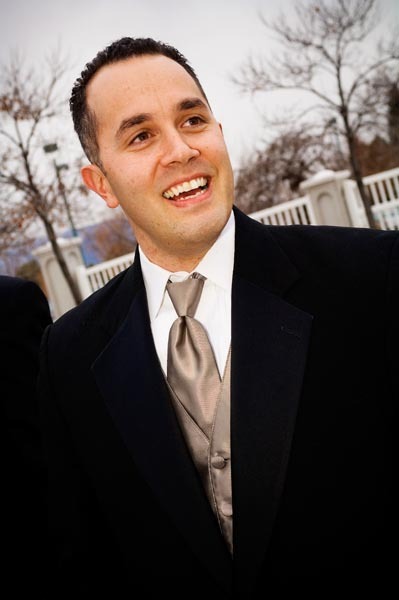 Steve graduated from the University of Utah in 2003 where he graduated with a bachelor’s degree in Mass Communications. For as long as he can remember, Steve has loved to come up with creative and far-fetched stories. In 2011 Steve finished his first novel, a work of historical fiction. He wrote "Port of Errors" in just three months. However, it took him ten years of research, editing and putting the missing pieces together. In 2012 Steve wrote a second novel, the first in a series of four. But this one is a YA paranormal fantasy. The title, at first, was "The Son of Nicholas Namely", but Steve soon changed its name to "Scapemaker", which is also the name of the series. As of January 2013, the outline for the second book in the series was completed. Steve loves photography. He shot weddings for a few years, but loves wildlife and landscape; he also loves volleyball and hiking; he has a mountain bike, but never rides it; finally, he is a sad self-indulgent, fanatically addicted big screen movie junkie. 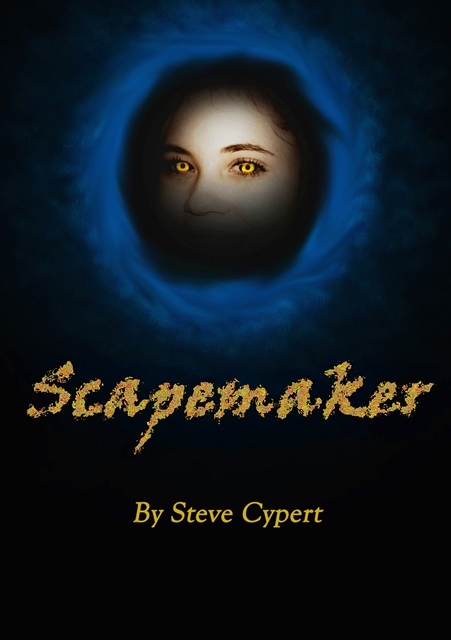 Giveaway: Five (5) ebook copies of Scapemaker. Five Winners!! !